The most challenging and complex film score of 2013 is also the best and most important. 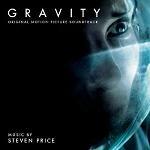 Expertly walking the divide between avant garde soundtrack and abstract sound design, composer Steven Price adds emotional heft to Alfonso Cuaron's critically acclaimed space thriller, communicating both the cold loneliness of space and the redemptive journey of Sandra Bullock's character Ryan Stone. No other score this year was as successful in heightening the impact of its respective film. In what his only his third score, Price marks himself as a composer of remarkable skill. Gravity is available at Amazon.com or Amazon.co.uk. Brian Tyler's first Marvel score is for Robert Downey Jr.'s third (and reputedly final) solo adventure as the iron-clad hero. 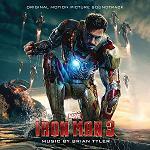 Defying the in-vogue trend of superhero scores that percolate in the background, Tyler instead ensures that the series goes out with a bang, delivering a rip-roaring theme that communicates both the bravado and cocky attitude of the irrepressible Tony Stark. Brimming with full-throttle orchestral power and the odd witty touch (listen out for the brilliantly snazzy end credits), it's a hugely entertaining score that isn't afraid of sounding... well... heroic. Iron Man 3 is available at Amazon.com or Amazon.co.uk. Co-directed by Tykwer and Matrix visionaries The Wachowskis, this hugely ambitious yet deeply flawed adaptation of David Mitchell's novel nevertheless benefits from an outstanding score. Tykwer, along with fellow composers Jonny Klimek and Reinhold Heil (all of whom scored 2006 film Perfume), crosses boundaries and centuries to fashion a hauntingly spiritual and moving portrait of human existence. Bound together by the central Cloud Atlas theme, it's by turns dissonant and rapturous, depicting each of the movie's time periods with skilful aplomb. 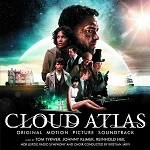 "Cloud Atlas" is available at Amazon.com or Amazon.co.uk. With Lincoln, Williams again demonstrates his remarkable knack for cutting to the emotional quick of a given film. Steven Spielberg's drama stars an Oscar-winning Daniel Day-Lewis as the iconic President, but it's John Williams' music that adds much needed warmth and compassion. 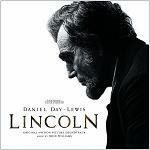 Resplendent in Americana tones that reflect Lincoln's Civil War duties and his homely personality, the score is further embellished with period-specific instrumentation that beautifully enhances Williams' symphonic writing. It's another fine score from film music's greatest veteran. "Lincoln" is available at Amazon.com or Amazon.co.uk. Director Nicolas Winding Refn's follow-up to 2011 hit Drive divided opinion like few other films this year. But Refn's brazenly weird, operatic blend of Oedipal drama and brutal revenge thriller did allow composer Cliff Martinez to paint his music on a broader scale than usual. The ensuing result mixes grungy atmospherics with lush strings and booming organs, a combination as compellingly unpredictable as the film itself. Martinez is a composer who rarely calls attention to himself; but Refn's dialogue-light film affords him a juicy opportunity to place his music front and centre. Only God Forgives is available at Amazon.com or Amazon.co.uk. Accentuating the emotional undercurrents of Stephen Frears' tremendous film in his usual tasteful fashion, Desplat again proves to be a master at tackling complex drama. 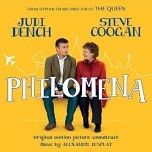 The composer weaves together a multitude of ideas – an inquisitive, bustling piece for Judi Dench's Philomena; a spikier one for Steve Coogan's journalist Martin Sixsmith; a beautifully melodic piece for the lost son for whom Philomena is searching – without ever lapsing into schmaltz. Alexandre Desplat's reserved yet poignant orchestrations never impose on the already moving story but instead lend greater depth of feeling. Currently only available as an MP3 album Philomena can be found at Amazon.com or Amazon.co.uk. Newman's loveliest score in years comes for the heartwarming making-of-Mary Poppins drama starring Tom Hanks and Emma Thompson. Forgoing the more abstract side of his musical personality in favour of the delightful string and woodwind arrangements that won him fans in the early 1990s, Thomas Newman keeps things sensitive and touching. Expertly manoeuvring around the classic Sherman Brothers songs that occupy a significant part of the musical narrative, what the score lacks in substance it makes up for in charm and spirit. 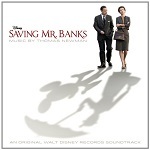 Saving Mr. Banks is available at Amazon.com or Amazon.co.uk. The edgy atmosphere of Park Chan-wook's English-language debut film is amplified brilliantly by Clint Mansell's moody score. By turns lyrical, disturbing and strange, the score also includes two songs by artist Emily Wells that blend RnB with a classical influence. The same principles apply to Mansell's score as a whole – an entity that at once sounds old-fashioned yet contemporary. Mansell replaced Philip Glass on the film and one of Glass' tracks remains – a marvellous piano duet performed in the film by the characters played by Matthew Goode and Mia Wasikowska. 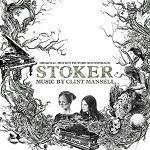 "Stoker" is available at Amazon.com or Amazon.co.uk. Michael Giacchino's second voyage into the Star Trek universe marks an improvement on his original 2009 score in every way. Embellishing his boisterous main theme with spine-tingling choral power, whilst also cleverly working in more references to Alexander Courage's signature tune from the TV series, he also has another trump card up his sleeve. That would be the memorably insidious theme for villain John Harrison (wonderfully played by Benedict Cumberbatch) – a piece that is intelligently developed across the score, and against which Giacchino's typically thrilling action writing is juxtaposed. 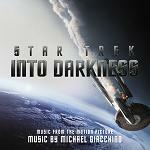 Star Trek: Into Darkness" is available at Amazon.com or Amazon.co.uk. Assigned to replace original choice Carter Burwell, Brian Tyler becomes the first composer to score two Marvel films within the space of one year. Tyler's second superhero effort of 2013 is hugely entertaining and thematically strong, blending a thunderous vocal theme for the hammer-wielding Thor (Chris Hemsworth) with a lyrical and anguished one for his half-brother Loki (Tom Hiddleston). The end result is action-packed and surprisingly emotional, leaving the prospect of another superhero score from Tyler an exciting one indeed. 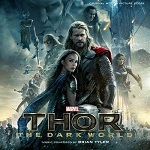 Thor: The Dark World is available at Amazon.com or Amazon.co.uk.